I work with individuals to awaken natural self-healing abilities within the mind and body. This, in turn, leads to an improvement in emotional, mental and physical wellbeing. During a mentoring programme, I help people to uncover the potential that lies deep within themselves, by pointing them towards their own innate Natural Health. Simply being in conversation and listening with an open mind is all that is required. You might hear something that changes your life forever! As your understanding of Natural Health deepens, wellbeing, peace of mind and then healing, naturally appear. As human beings, we all have the natural ability to use our minds to our advantage (or disadvantage). Once we understand how we create our experience of life, it is merely a matter of staying awake to the facts that underlie that process rather than having to do anything to improve our state of health. As a metaphor, our understanding of balance, allows us to use it to our advantage but only once we are aware of how it works (to ride a bike for example). However, whether we know about balance or not, it is always there in the background, invisible but affecting our lives in a profound way. 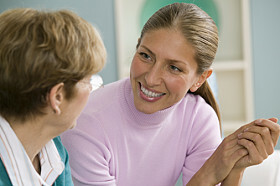 I also use the same understanding in my work with health professionals. As health professionals experience greater wellbeing themselves, this helps them become more resilient, less stressed and more impactful in their work with clients. 'Seeing Natural Health within others' is a powerful approach but its potential in the field of health care is often overlooked. I want to change that. Your health is individual and specific to you. To uncover your wellbeing, I would tailor a programme to suit your exact requirements. 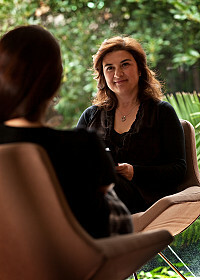 You might prefer an Intensive Retreat or one-to-one sessions (in person or via Skype). As well as individual mentoring services, I also offer group online courses. Read what others have said about this work and how they have benefitted. If you would prefer to work in German, please visit our dedicated German website.